This 13.3 inch flexible e-reader was expected to launch last month, but its makers have only released a few images of the prototype for now. Onyx has been working on its 13.3-inch e-reader with a flexible display for some time now and, although the device should have arrived last month, it got delayed by more than just a few weeks. To prove the Onyx Boox is not vaporware, the company released a few images showing a prototype last week. Unfortunately, they also mentioned that this e-reader should be available next spring. Once it hits the market, Onyx Boox becomes a direct competitor to the Sony Digital Paper, but it will also compete with the upcoming Pocketbook CAD. Its flexible PVI HD inductive touchscreen has a resolution of 2,200X1,650 pixels and 207 ppi while Sony's existing model only offers 1,600X1,200 pixels and 150 ppi. The first-gen Onyx Boox will be bundled with a stylus so its users can also use it to draw, write, or take notes. 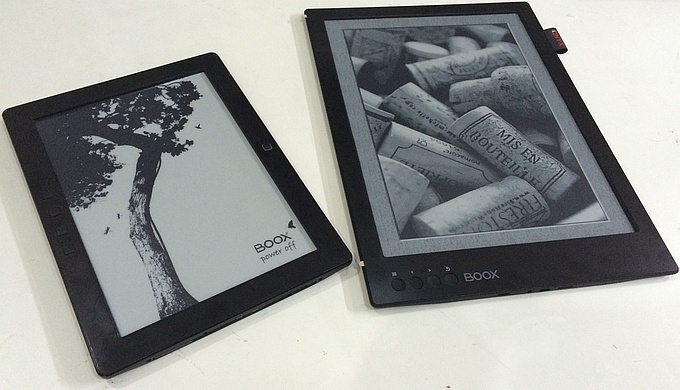 Unlike most other e-readers on the market, the Onyx Boox will run Google Android. There is no detailed information on availability and pricing yet, so we can only hope there will be no more delays.